Blown in low density polyethylene, poly lab dropping bottles dispense small uniform drops of liquids when pressed lightly. Blown in Low Density Polyethylene, MEI Dropping Bottles dispense small uniform drops of liquids when pressed lightly. 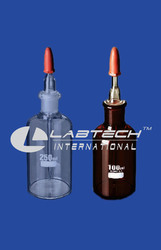 With enriched industrial experience, we have been able to offer a wide spectrum of Ear Dropper Bottle. Made using optimum quality glass, this Dropping Bottle Glass has a capacity of 2 ml to 100 ml. Finding application in various labs, it ensures an accurate control to deliver contents drop by drop. Made available in 30, 60 and 125 ml, this offered dropping bottle glass is highly acclaimed among our countrywide clients. We are proud to present premium quality Clear Glass Dropping Bottle that are made from extra ordinary glass with automatic plant that offers durable and long lasting structure to them. The supreme dropping bottles, manufactured by us, are praised by our clients for neat and clear calibrations. The superior glass bottles, offered by us, come in different sizes and colors for easy comparison. Dropping Bottles T K Pattern. 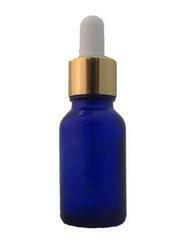 Peacock Industries are manufacturer, supplier and exporter of Dropper Bottle. With interchangeable dropper and rubber teat. We believe that quality is our first and foremost priority, and hence, we are engaged in offering an unmatched range of Plastic Dropper Bottle. Glass Agencies EROSE are manufacturer of Eye Drop Bottle. We offer Plastic Pet Dropping Bottles that are convenient to carry owing of its different sizes.